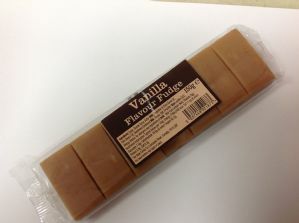 A large 150g block of chewy vanilla fudge. 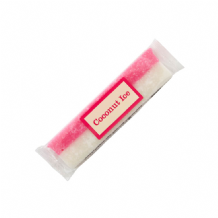 Ingredients: sugar, glucose syrup, sweetened condensed skimmed milk, vegetable fat, lecithin, flavour. 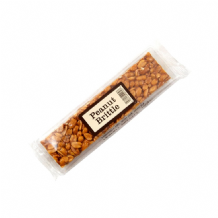 contains milk, soya and sulphites, may contain nut traces.